I always look forward to springtime and the return of green lawns with the colorful explosion of flowers. 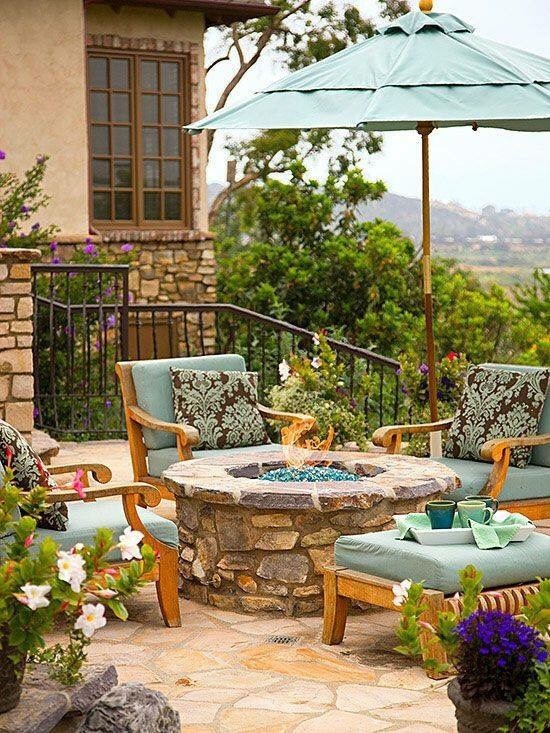 A firepit doesn’t need to sit unused during the warmer months. The warm glow of a fire adds a beautiful ambiance to any patio space! If you are considering putting your home on the market, don’t neglect your outdoor space while making improvements indoors as well. Your home’s exterior and the backyard are important in drawing the eyes of potential buyers and making your home as appealing as possible. Here are some modern trends in outdoor living that will entice today’s buyers. Outdoor structures make the backyard, and even the front yard in some homes, more functional. An outdoor structure can be something simple – like a storage shed – that makes the space more functional. Or, it can be an outdoor shelter – like a gazebo or pergola – that provides more outdoor living space. These outdoor structures boost the function, and therefore increase your home’s value. Privacy in Outdoor Spaces The outdoor living space is considered more than just a backyard for the modern buyer. Today, the outdoor space is an extension of the home. People are moving indoor furniture outdoors, adding fireplaces and even installing televisions. Yet when they are relaxing outside, individuals want a measure of privacy. No one wants to be gawked at when enjoying a drink and watching the game after a long day at work. What does this mean as you are upgrading your outdoor space? If possible, add some privacy to the space to create a room that is an extension of the home. Put up walls around the pergola or choose an enclosed gazebo to do this easily. Outdoor Kitchen More and more meals are being cooked outdoors, and the modern outdoor kitchen includes more than just a grill and a picnic table. An outdoor sink, range and even oven can make your home more inviting. Of course, you will need to weigh the costs of this upgrade against the potential benefits; but if you have a great outdoor entertaining space, consider adding an outdoor kitchen to attract potential buyers. Outdoor lighting appeals to buyers for a number of reasons: First, it improves the function of the space, making it easier to enjoy an outdoor living space even after dark. A well-lit deck lends itself well to summer barbecues and parties that continue after midnight. Outdoor lighting also helps attract buyers by making the home more visible when they drive by the property, even if they drive by after dark. Good outdoor lighting will make the home inviting at all times of day. Also, it helps improve the security of the property, which may be important to select buyers. Landscaping Most home sellers know they should improve and upgrade their garden areas, but do so carefully. A lush, yet high-maintenance garden may detract from your home’s ability to sell. Many of today’s buyers are busy and do not have the time it takes to tend a garden. When upgrading your landscaping, go as low-maintenance as possible, while still ensuring that the home is attractive. Perennials that grow well in your area can add a splash of color, but do not need to be replanted year after year. Mulch or rock can keep weeds at bay while giving the space a finished look. Automatic watering systems help ensure the plants have enough moisture to thrive, without requiring the owner to keep track of watering schedules. Don’t forget to add stone walkways and decorative items to improve the aesthetics of the space, without adding maintenance efforts. Natural Wood and Stone Natural wood and stone features on the home – even if they are made from faux materials like vinyl – attract the modern buyer. This design trend can make an outdated home look modern on the exterior, causing more buyers to stop and schedule a showing. It can also boost the appeal of a modern home by helping it to stand out from a crowded marketplace. Fire Pits or Fireplaces If you have a modest budget, but want to add an outdoor feature that will increase your home’s potential value, consider adding a fire pit or outdoor fireplace. You can even do this as a DIY project if you have the time. A fire pit provides a comfortable, logical place for outdoor entertaining or simply enjoying s’mores together as a family. Many homeowners pull out all the stops when it comes to building decks, patios and outdoor entertaining spaces, but forget the most important part – seating. While you can add seating through outdoor furnishings, this will not add value to the property in the opinion of a buyer. Consider a permanent, built-in seating option, like a bench built into the deck or a picnic table that stays with the property. Remember, today’s buyers still have plenty of houses to choose from. As you prepare yours for the market, be sure to think like a buyer and add features that will make the home as appealing as possible. As you make these improvements, remember to put some attention into your outdoor spaces! Jeff Caldwell is brand manager of Superior Shelter, a subsidiary of Superior Recreational Products. The company designs and creates custom outdoor shelters – including steel pergolas, gazebos and more – to solve your outdoor design needs. It works with landscapers and architects around the world. It’s common today for backyard space to be used as an extension of a home’s livable space. Creating an idyllic and cozy outdoor environment can also benefit when it comes time to sell. While there are many functional and financial benefits of maintaining a home’s outdoor space, there are also many health benefits. The Outdoor Power Equipment Institute (OPEI) recently shared seven reasons why it pays for owners to have an enjoyable backyard. Children’s stress levels fall within minutes of seeing green spaces. Knowing and experiencing nature makes us generally happier, healthier people. Getting dirty is good for you! Mycobacterium vaccae in soil mirrors the effect on neurons that Prozac provides. 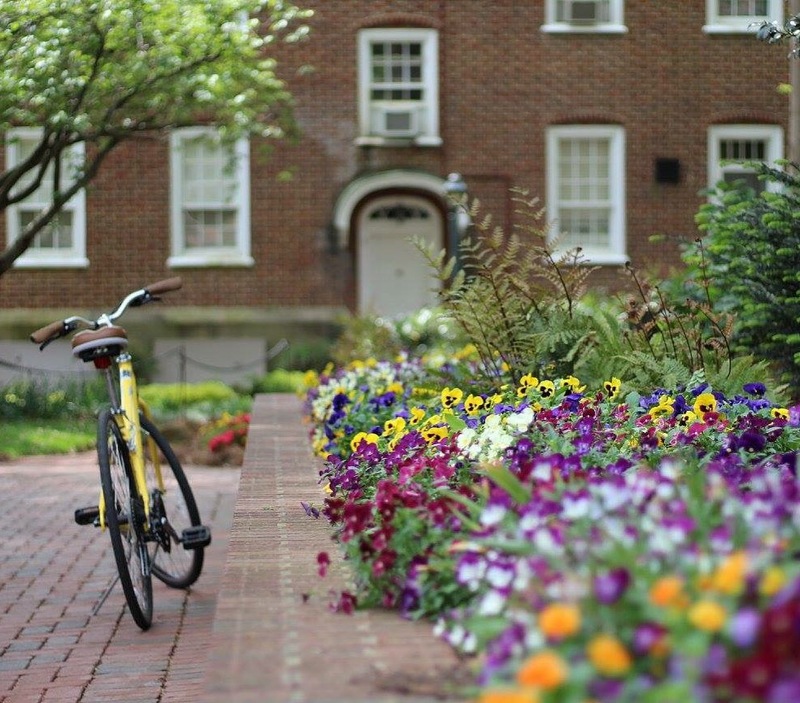 Residing near living landscapes improves mental health. Research found that people moving to greener areas experiences an immediate improvement in mental health. Children gain attention and working memory benefits when they are exposed to greenery. Exposure to natural settings may be widely effective in reducing attention deficit/hyperactivity disorder (ADHD) symptoms in children. Walking or running in nature, rather than a concrete-oriented, urban environment, resulted in decreased anxiety, rumination and negative affect, and produced cognitive benefits and increased working memory performance. Grass can be 31 degrees cooler than asphalt and 20 degrees cooler than bare soil thanks to the process called evapotranspiration. Living landscapes help kids and pets be healthier. Playing outdoors increases fitness levels and builds healthy, active bodies. Your lawn produces lots of oxygen– 50 square feet of lawn generates enough oxygen each day for a family of four – and reduces the code red effect since grass removes pollutants from the air we breathe. OPEI also created an infographic showing the primary benefits of maintaining a home’s green space.